Vietnam has made remarkable progress over the last decade in not only making harm reduction and HIV services available and accessible for people who use drugs but also reforming laws for supportive health policies on the ground. 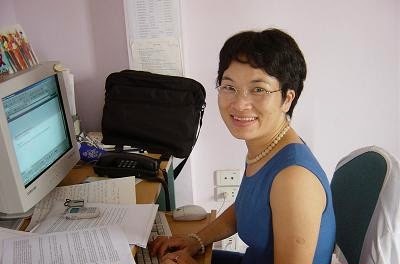 Khuat Thi Hai Oanh who leads Vietnam’s Center for Supportive Community Development Initiatives, was a plenary speaker at 20th International AIDS Conference (AIDS 2014) in Melbourne. Inn 2003, Oanh said, Vietnam had criminalizing laws related to drug use and compulsory drug dependence treatment of those using drugs. Being caught even once with illicit drugs meant being sanctioned and criminalized. Laws and policies can either be critical barriers or critical enablers. Before 2003, harm reduction was illegal in Vietnam. Distribution of clean needles was equated with promoting drug use. It was written in the Vietnam’s constitution that people who use drugs would be subjected to compulsory treatment. No wonder when the first round of grant came from the Global Fund to fight AIDS, Tuberculosis and Malaria, there was not a penny for harm reduction. But soon after, in 2003, British government stepped in and initiated a harm reduction initiative in Vietnam which was not called ‘harm reduction’ since it was illegal in Vietnam. So this initiative was referred to as HIV prevention work, which it truly was. 1000 clean needles were provided to an estimated 200,000 drug users in Vietnam – a humble beginning but a positive start in the desired direction! By 2004, Vietnam was targeting to provide 100 percent clean needles for all drug users. In 2006, the National Assembly passed the HIV law and harm reduction was included (such as needle exchange programs, etc) and opioid substitution therapy was legalized. 17,000 drug users were provided substitutes such as Methadone in 32 provinces. By the end of the following year, 80,000 drug users were on such substitutes. Most significantly drug use was decriminalized in in 2009 with revision of penal code. In 2013, the national assembly revised the law and removed compulsory drug dependence treatment for drug users. Oanh said that globally too, significant progress was made in harm reduction by 2012: 77 countries were providing some substitution therapy, 86 countries had instituted needle and syringe exchange programs, 97 had policies that support harm reduction and 158 countries were reported to have drug users. At least 60-80 percent of drug users are infected with the hepatitis C virus and 85 percent of them become chronically infected. One-third of those develop liver cirrhosis or liver cancer, Oanh said. said Oanh. HCV treatment is effective as combination therapy for 12 weeks works with 90 percent effectiveness. “But the price of medicine kills the people, not HCV. Medicines do not have to be that expensive,” she continued. “A 12-week course of these drugs could be manufactured for US$78-166 per person if methods of mass-producing generic drugs were applied (according to the research done by Hill A Cooke in 2014)” remarked Oanh. TB is among the top killers of drug users. TB is the leading cause of deaths among people living with HIV, of whom many are drug users. Regardless of HIV status drug users, are many times more likely to get TB than others. If drug users get TB, then they are more likely to die of TB too. But the good news is that TB treatment works effectively among drug users as well. In Chennai, Baddely said, a study of HIV negative drug users found that in them TB was the second-biggest cause of death after overdose. So awareness about TB is lacking in them even though they are more at risk of it. Imprisonment also impedes services." “Good intention is not always matched with good intervention. 235,000 people are in 1,000 compulsory detention and rehabilitation centers in East and Southeast Asia,” Since 2012 in Vietnam, pre-conditions and a court process is required before sending any person to compulsory rehabilitation center. Vietnam recognizes drug dependence as a chronic health problem and calls for scaling down compulsory rehabilitation centers and aims to reduce the number of drug users in these centers from 63 percent in 2013 to 6 percent in 2020. “This is not perfect but we are making progress” said Oanh. A new ceiling on the Global Fund grants means harm reduction has to come along with other interventions. Funding to middle income countries has been reduced but that is where majority of drug users live. 99 percent of drug users live in middle income countries which are among the 15 priority countries identified by UNAIDS, with only 1 percent in low-income countries. Australia has been a good example to support harm reduction initiatives for drug users which have had profound public health impact. In Indonesia in 2011, 87 percent of people who inject drugs reported using sterile equipment, Philip said. The decrease in sharing is likely to have contributed to declines in HIV infection rates in this population from 52.4 per cent in 2007 to 42.4 per cent in 2011. In Vietnam close to 60 percent of users have access to harm reduction services. Oanh ended her plenary with a remark that perhaps sends a strong message for supportive policy and legal framework for health and rights: “I put on hold my medical practice for policy advocacy. Doctors save lives one at a time. Bad policies kills at a massive scale. Good policies save lives."